Truly an amazing collection that should revolutionize our thinking about the early history of New Castle and the Piscataqua. 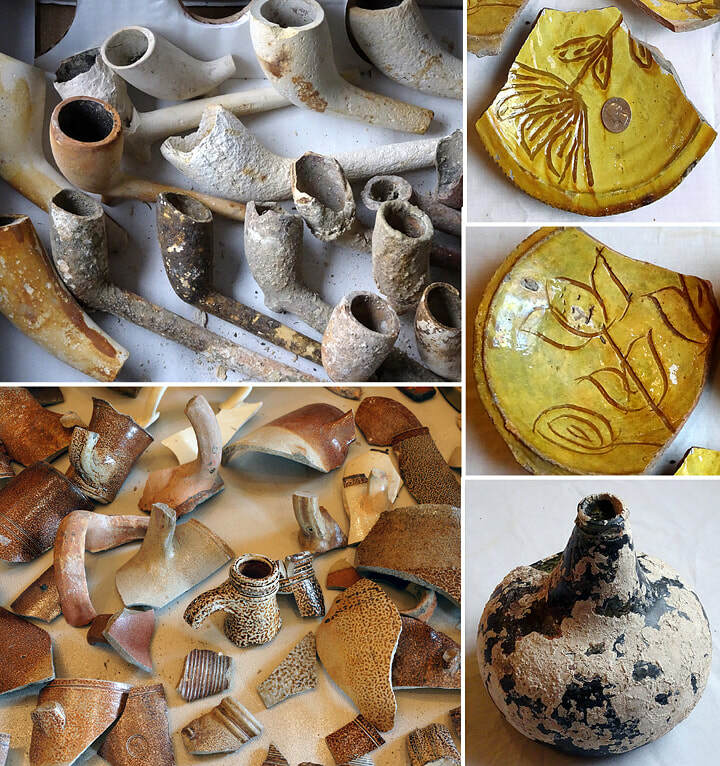 of pottery and glass artifacts (shards and sherds) collected over a 20 year period by Ray Demers and his son John in the area between Salamander Point and the UNH pier in New Castle. These artifacts are remarkable in that shards are so large and beautifully preserved. They come from all over Europe.